Having your phone with you in your car is useful for all kinds of reasons—not least helping you successfully make it from A to B—but it's also a potentially dangerous distraction. According to the CDC, an average of 8 people a day die because of accidents related to distracted driving. And when it comes to tempting our eyes off the road, mobile phones are some of the worst offenders. [post_ads]To stay safe while driving, you don't have to lock away your phone completely. Modern handsets come with features that make them easier to operate in a car. First though, get some extra hardware: In many states, it's now illegal to use a phone when driving unless you first put the device in hands-free mode and lodge it in a dock on the dashboard. Pick the right cradle for your phone and make sure to use it—as an added bonus, choose one that will charge up your phone's battery at the same time. That said, studies have shown that, even in hands-free mode, phones can be a distraction. So keep phone use to a minimum, especially anything outside of a mapping app. Ultimately, the onus is on you to apply common sense and caution—because opening up that Instagram message isn't worth an accident or worse. Wait until you can pull over to check your phone. Here's how to set phone limits that will limit you to only essential apps while you're driving. If you want to use your phone while keeping your hands on the wheel and your eyes on the road, you'll have to enable voice controls. Both Android and Apple devices let you speak phone commands aloud—here's how to enable each one. On an Android phone, you must first switch on "OK Google" recognition. 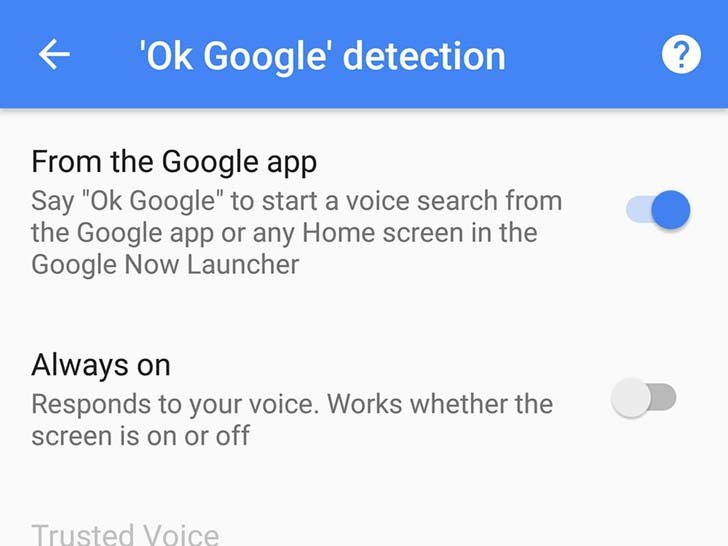 Make sure you have the Google search app installed, then head into Settings from the app menu, tap Voice, and tap 'OK Google' detection. On some phones, the the voice commands will work no matter what app you're in, or even if the phone is locked. On others, you actually have to launch the Google search app before using "OK Google." Start with an "OK Google" command, and you can tell your phone to "play some music" or "show me the way to New York." You can also make it call or text one of your contacts. This lets you do a lot more with your phone without having to look at the screen, which means your eyes can stay safely fixed on the road. Just make sure your mind is concentrating on driving as well. When it comes to operating your phone hands-free, Apple's digital assistant Siri really comes in handy. The AI can make calls, bring up directions, play your music, and more. To use voice control whenever and wherever you need to, go to Siri in Settings. 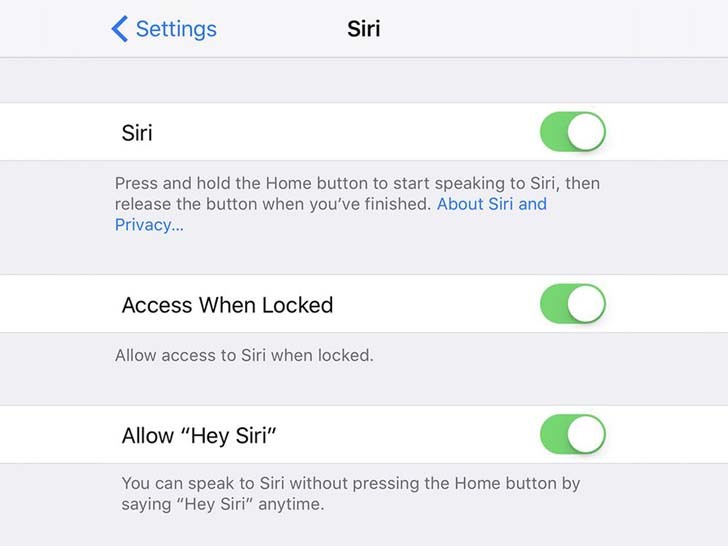 Enable the Access When Locked and Allow "Hey Siri" features so you'll be able to call up Siri without touching your phone's screen. Once you've set this up, you can say, "Hey Siri, send a text to mom," and the assistant will take you through the process of dictating and sending an SMS—all without glancing at the screen. The same voice control works with navigating: Say, "Hey Siri, drive to Oklahoma City," and the navigation mode in Apple Maps will open up automatically. You can then follow the instructions on screen without having to lift your hands from the wheel, assuming you're happy with all the default route options that have been chosen. In this case, you do have to glance at your phone's screen, but try to spend minimal time on these looks. And before you get started, turn on voice directions (in the Maps section of iOS Settings) so you're not relying solely on looking at the display. [post_ads]Voice commands will help you avoid your phone, but they only go so far. For the safest experience on Android, install Android Auto. (Meanwhile iPhone users can skip to the next section, which covers Apple CarPlay.) The app, developed by Google itself, puts your phone in a special car-friendly mode, complete with oversized buttons, voice input support, and more. You can even make it auto-respond to people who text you while you're driving to let them know you're at the wheel, and it'll also appear on your car's dash system if you've got a compatible head unit installed. 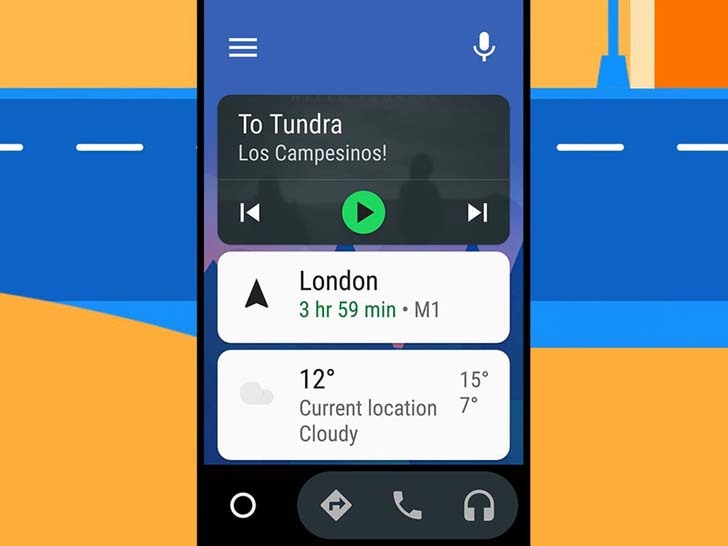 Launch Android Auto, and you'll see a few cards appear on screen, covering the weather and perhaps your favorite music app. Directions to places you often go will show up as well, and you can launch one of these trips with a tap. It's this kind of intuitive assistance that Android Auto excels at, so you can limit the time you spend digging around in apps and menus. For example, say "OK Google, drive to San Francisco", and it will launch navigation mode, with the fastest route selected, without requiring any other input. Apps like Spotify and Facebook Messenger have special Android Auto modes too, with buttons that are easy to hit, and an interface that's as clear and distraction-free as possible. To configure how Android Auto works, tap the menu button, then Settings. You can enable or disable "OK Google" detection from here too, turn off notifications while you're driving (highly recommended), and write out an auto-reply message that will ping back as an automatic response to any incoming texts. To quit Android Auto at the end of your journey, tap the large circular icon in the corner. Don't like the Android Auto interface? Drivemode is a very capable third-party alternative. It lets you reply to messages with your voice, control your music with chunky button presses and swipes, and quickly get to your essential apps. 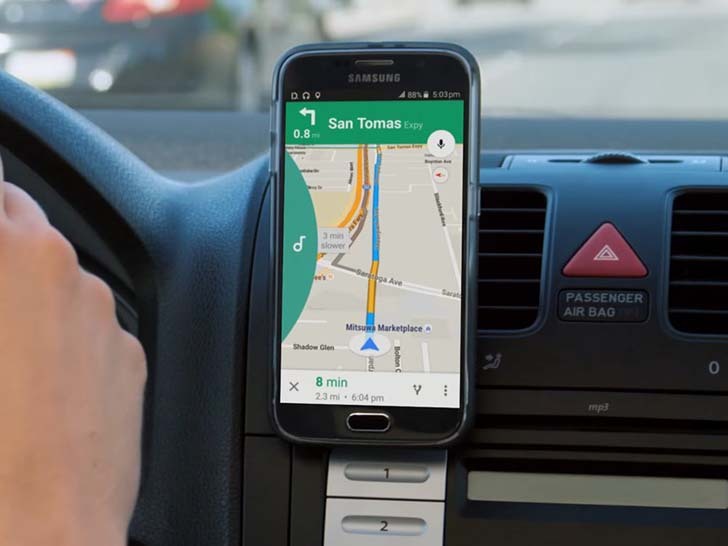 Another helpful feature lets you make and take calls without interrupting the on-screen maps navigation, so you won't have to jump between apps while driving. You don't get quite as much control over your driving experience on the iPhone as you do on Android devices, but Apple still has tricks you can try. Apple's own CarPlay interface requires a special head unit for now—if your current car stereo isn't compatible, you're going to have to replace it with one that is to use CarPlay. It essentially mirrors your iPhone screen on your car's main dashboard, making apps easier to navigate and bringing Siri to the fore ( for instance, Siri kicks in if you try and open the Messages app). If your vehicle has the CarPlay option, it should make driving much safer. It even configures itself automatically once you plug in your iPhone (it works with the iPhone 5 or later). You can't run the CarPlay interface on your iPhone itself, but iCarMode is a third-party alternative that works much like Android Auto: You get oversized buttons, quick access to contacts, and a shortcut to your favorite mapping app of choice. What's more, iCarMode works in either portrait or landscape mode. The app throws in a few bonus features too, like a parking meter timer that lets you know where you left your car, and easy access to a search of nearby places, so you can quickly bring up details of the closest coffee shops or ATMs or anything else. iCarMode will set you back a couple of dollars, but it's the best option out there for the iPhone if you don't want to rely solely on Siri and Apple's own apps. As we mentioned above, don't get complacent—even hands-free, voice-controlled phone use can potentially take your mind off what's happening on the road. Still, if you get the right apps installed and set up before you head out, you can minimize the risk of phone-related distractions on your trip.